Those were my son’s words on Sunday. He and I were holding hands, our bare feet in the sand, waiting for the next splash of ocean water to cover our feet. 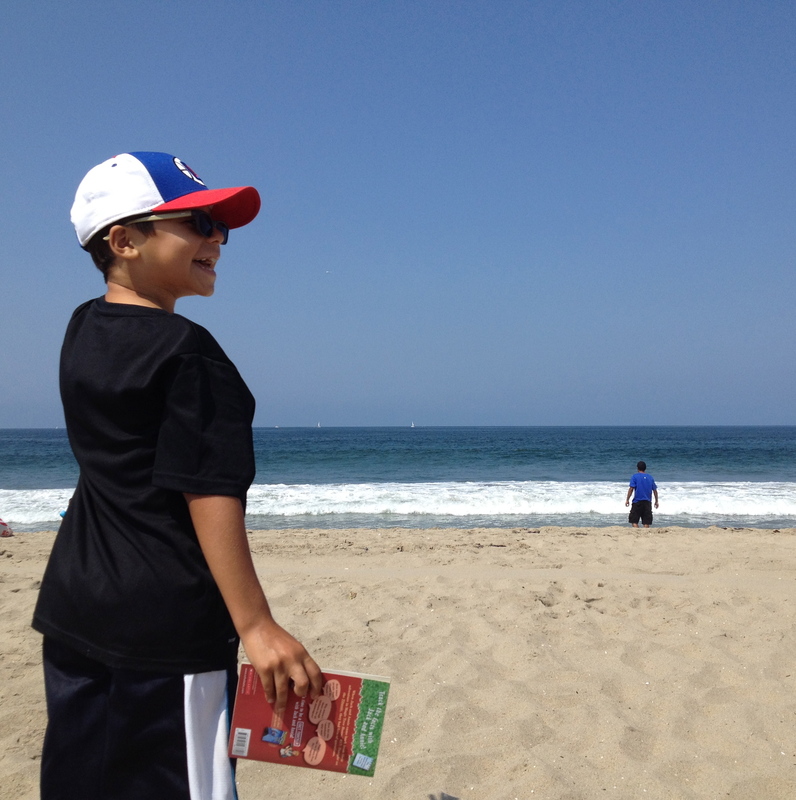 It was our family day, and while Dockweiler State Beach isn’t Cambria (our favorite ocean-side spot), it is still a beach. We spent a few hours at the beach, and though we had packed a Frisbee, a book, and my son’s sand toys, we didn’t use any of them. We were content just to be there at the beach. We heard seagulls, shrieks of others splashing in the not-very-cool water, and the sounds of the ocean. And airplanes. For those who aren’t familiar with the area, Dockweiler is located close to Los Angeles International Airport, so we were also serenaded by the sound of aircraft climbing higher and higher into the sky. Even with the noises and the crowds that descended onto the beach as the day went on, I was still able to find myself lulled into a trance-like state at times. There is something very soothing about the ocean, about the in-and-out of the water, about the endlessness of it all. And after we got back home, I found myself re-visiting a piece I wrote last year for Breath and Shadow. You can read my essay, “Seven Lessons I’m Learning From the Ocean” here.